It is good to know that corporate organizations are now making effort to support fashion week in Ghana. The organizers of Accra Fashion Week took to social media yesterday to announce Stanbic Bank as official partner for the maiden event. According to the organizers, large number of international designers would be featured in the first of it kind Fashion Week in Africa’s continent. International Trade Fair Center in Accra will be the host for the event from the 5th-9th October 2016. Accra Fashion Week strive to bring to the Ghanaian public the very best of fashion designs and designers from Africa, all whilst putting in place the mechanism to establish Ghanaian designer brands on a global scale. 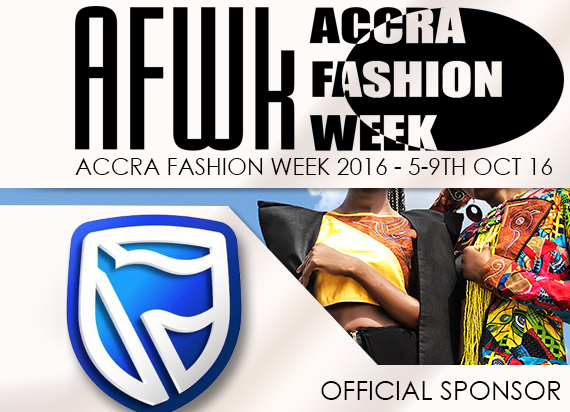 For more information on Accra Fashion Week 2016, visit www.accrafashionweek.org.